There's shock: it's unbelievable that such a highly regarded, well-paid New Yorker staff writer and author of three books is also equally prolific at making stuff up. (Lehrer resigned after the story broke, and his publisher, Houghton Mifflin Harcourt, is recalling print copies of Imagine.) There's a fair amount of schadenfreude, and relief that someone who seemed so brilliant and accomplished wasn't actually doing that much better than the rest of us after all. And then there's pity, too, because Lehrer certainly isn't the first journalist to make a mistake under pressure. Lehrer's success and this current humiliation, how far he had to fall, is a symptom of a much bigger problem, one that is systemic, one that continues to consistently elevate certain kinds of men simply for being a certain kind of man. 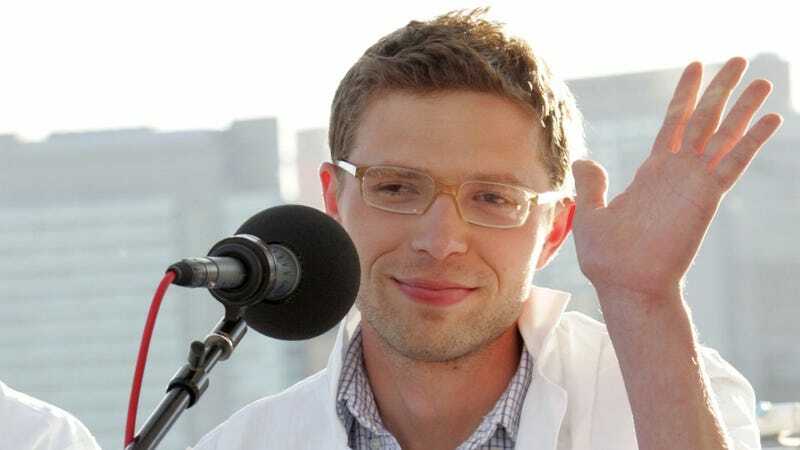 Jonah Lehrer fits the narrative we want about a boy genius. He is young, attractive and well educated. He can write a good sentence. He can parse complicated science for the masses and make us feel smarter for finally being able to understand the complexities of the human mind. He is the great white hope. Jonah Lehrer will flagellate himself publicly to our satisfaction, explaining the how and why of his deceptions and fabrications. His phone will start ringing again because he'll still be an intelligent young man who fits the genius narrative so well. Slowly but surely, Lehrer is going to start climbing back toward grace and he'll reach it because he's part of a system that is too big to fail, that very much wants men like him to get back to grace. Whether or not that happens, the Lehrer incident — and the media maelstrom that followed — might shine more light on the writer's fans, mentors, and editors than on Lehrer's motivations to deceive. It's also a much-needed reminder that not every genius comes in an endearingly geeky-hip package. [Gitlin said] that not only had Mr. Lehrer carved out a career in the popular niche of brain science, but he had created a persona that is perfectly suited to a 21st-century media environment. "Conjure me up a guy who talks science winningly, who shows you that everything is transparent, and does it in a self-help-y spirit," he said. "In our age, a guy who looks cute and wonky is better positioned to get away with this than others."